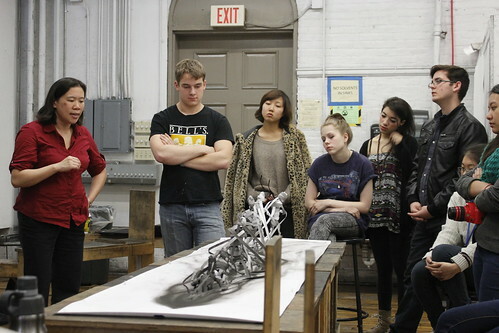 Ask the Art Professor: What is the Purpose of a Degree in Fine Art? In my opinion, a degree in fine art is a truly unique, immersive experience that cannot be replicated in any other way. The most critical part boils down to the people and the long term relationships that you cultivate during that time. Let’s face it, it doesn’t matter how impressive the facilities/resources/administration are at a school is if you don’t have a vital creative community to inhabit it. Your experience is very much defined by the people who you are surrounded by. In art school, you have this incredible range and concentration of creative personalities within an arm’s reach, 24 hours a day, 7 days a week. I don’t know any other context that exists where this is the case. 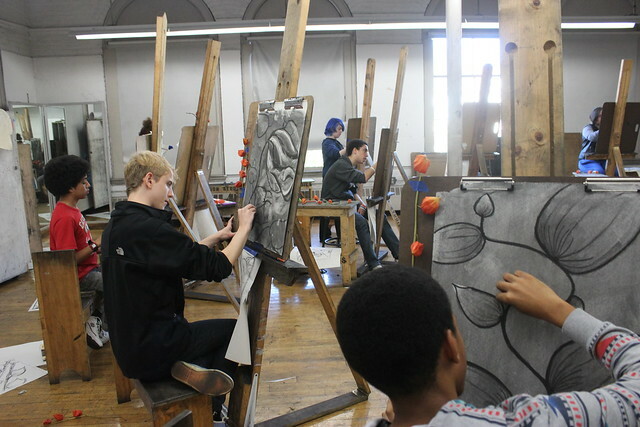 One could argue that a small art academy or an artist residency would in theory provide the same kind of access to a creative community, but it’s just not the same thing. With a degree program, students sign on for a four year commitment that they are expected to complete, while many teachers dedicate their entire lives to the school. Doing a four week artist residency pales in comparison in terms of the kinds of lifelong relationships that you will be able to foster in a degree program. The most important things that you can take away from a degree in fine art is that which you will carry with you for the rest of your life. It’s not about the physical work itself. By the time I had finished my fine arts degree, I had created literally hundreds and hundreds of pieces of physical art. Where are those works now? A few are buried in a portfolio at the back of a closet that I never open, and the rest made their way to the recycle bin or garbage many years ago. So if it’s not about the physical works, what is it really about? To me it’s about the critical thinking, process, and creative strategies that you gain. Those skills will stay with you forever and will be applied to every artistic initiative that you take. The other aspect that is vital to a degree in fine art is the high productivity and incredible volume of work that you’ll produce while working on the degree. In school, you have relatively few distractions, (ex. : your meals and house keeping are taken care of) and you’re given this huge chunk of precious time to devote entirely to your studio practice and development. I have never produced so much work, in such a short, concentrated period of time as I did when I was pursuing my degree. One week in school is nearly equivalent to three months in the “real” world in terms of the prodigious level of production and progress that can occur. I agree that the friendships you cultivate in school are very important part of obtaining a degree. Art is about having a dialogue between your works and works of others..
You hit it when you say that “critical thinking, process and creative strategies” are what you take with you. As someone trained in another field, I have been able to incorporate much of the critical thinking skills that I learned into my art. However, what I do miss is the process and creative strategies that are taught in a formal setting. I am sorry that I did not get that in the arts, but rather in business and law. That said, education as a whole is an enormously valuable asset that hones your skills and teaches you how approach issues. Great article. I completely agree, there are so many concepts/ways of thinking that we practice in other fields that are directly applicable to the artistic process. I find that writing is very similar to creating art; I read Stephen King’s memoir “On Writing” and found so many correlations in the way that he described his writing process with my own! And in my opinion, every single experience we have is valuable, even ones that don’t appear to be pertinent at the time. After all, it all ends up within us eventually, there’s no way an experience cannot influence others!